I wanted to get into 3D printing so that I can start working on some physical interfaces for my design circuits. 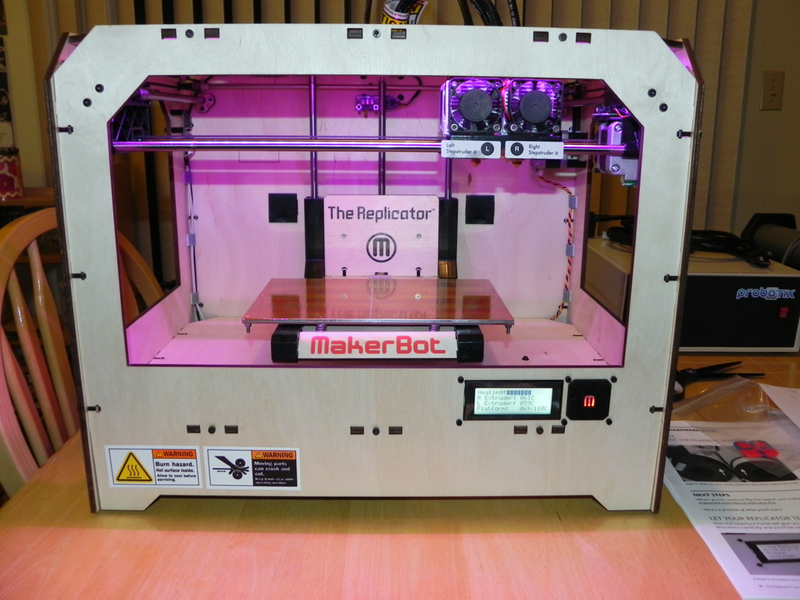 Traditional 3D printers are way out my price range but, along comes the RepRap movement and with it an army of 3D off-shoot printers. Now, 3D printing is within reach of the hobbyist. I decided to purchase a MakerBot Replicator because the company is pretty well known for quality products and the Replicator has a dual extruder. 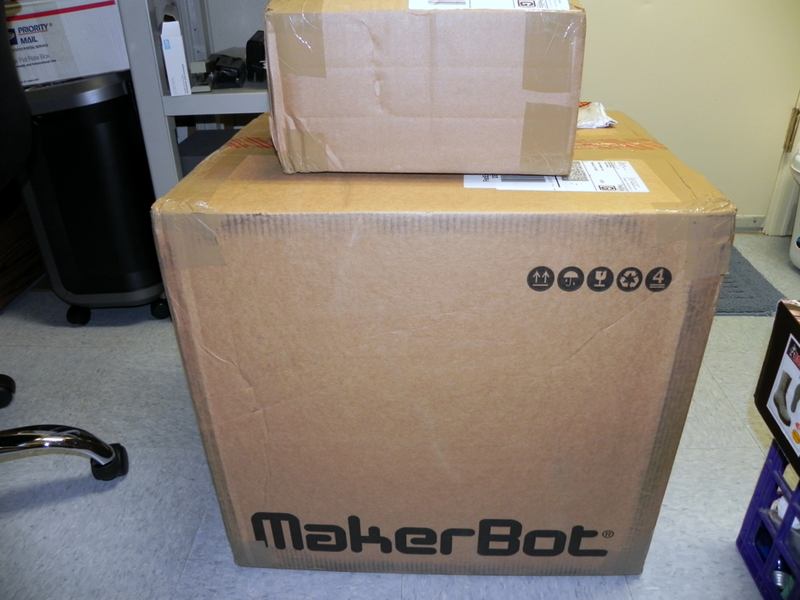 MakerBot fully builds and tests each Replicator before shipping and packages each machine very well. 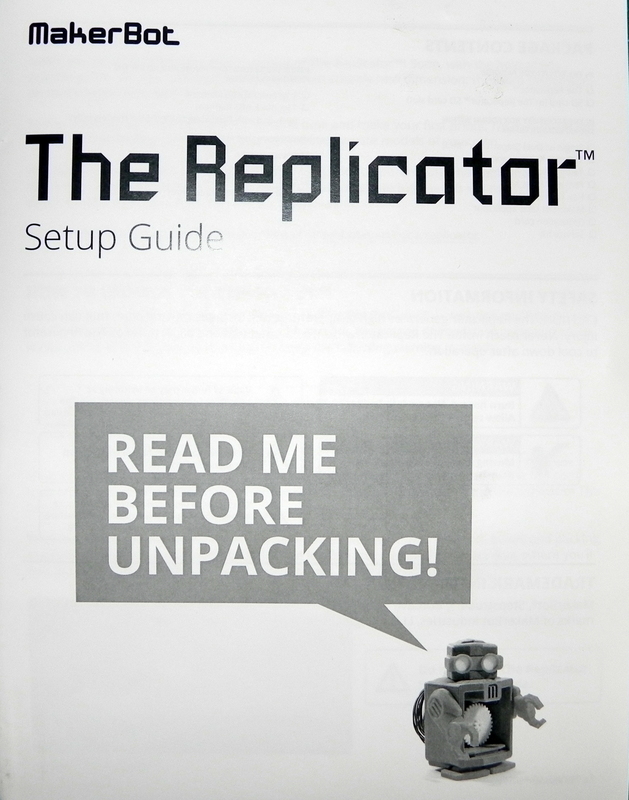 I followed the instructions from the MakerBot setup videos and manual without any issues. 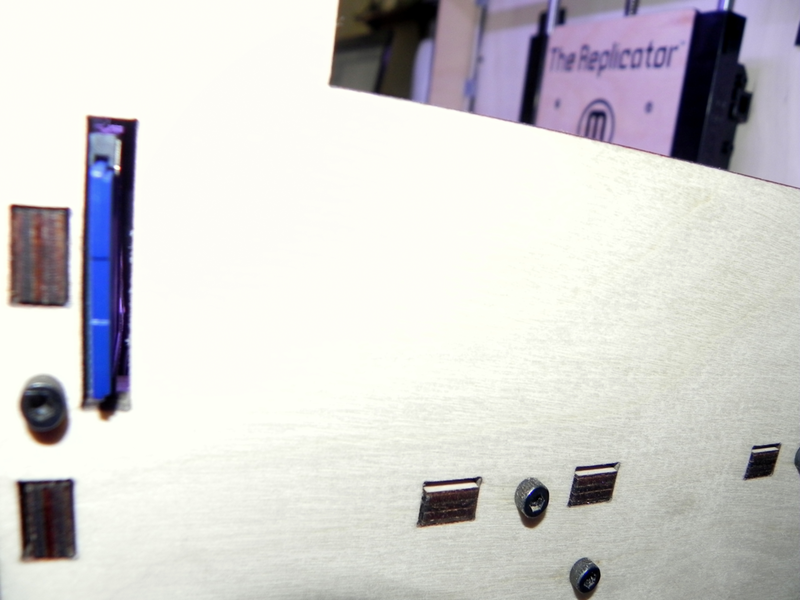 The Replicator has an SD slot built in so that you can save designs to a card and run them straight from the machine. I selected one of the sample designs already loaded onto the SD card for my first print. 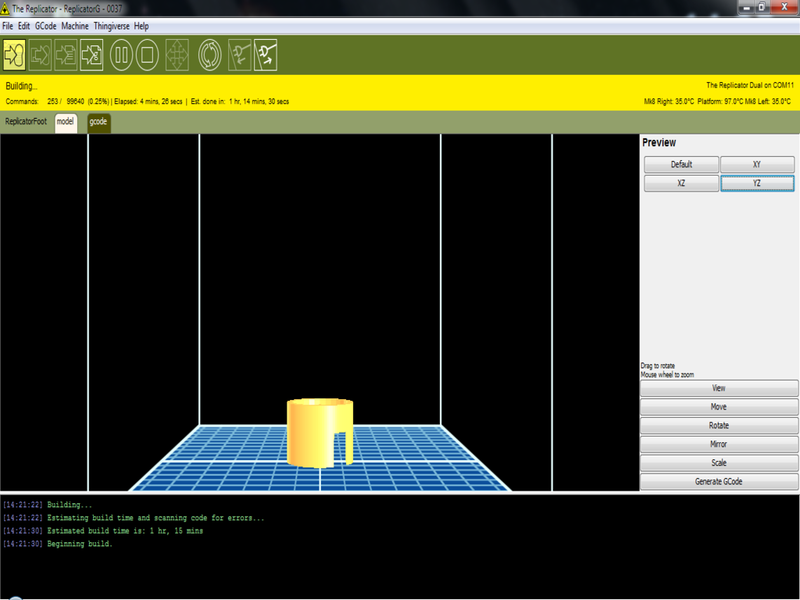 Another option is to load designs into the ReplicatorG software, connect a USB cable and print from the PC or MAC. 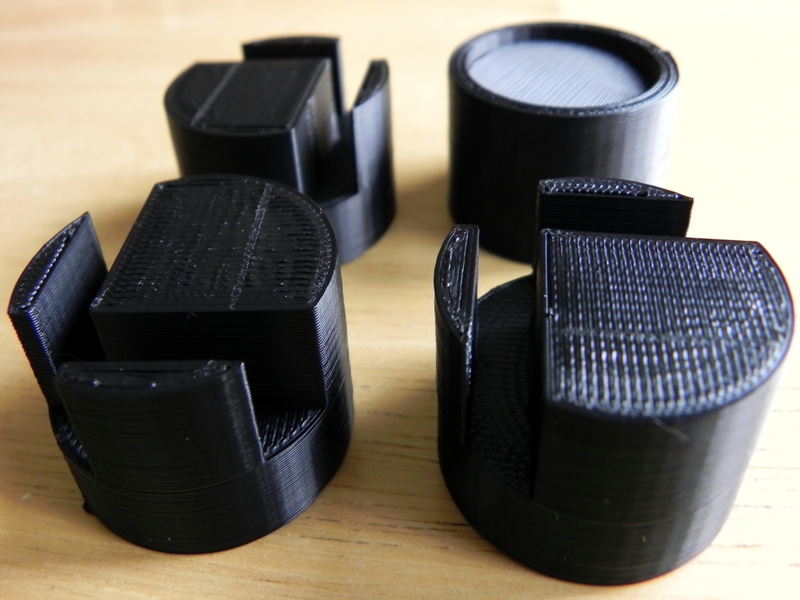 These are replacement feet for the Replicator as the stock set is cut rubber tubing which does not stay on very well. The design can be found here on Thingiverse. 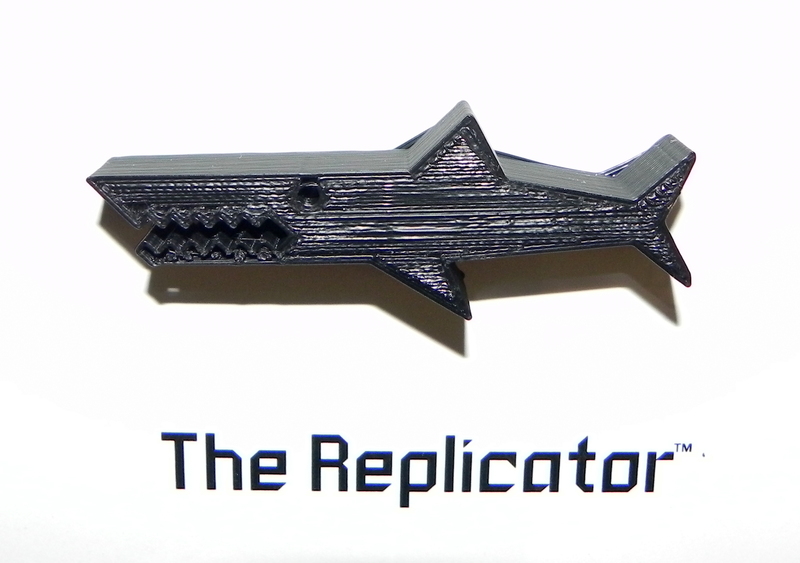 I need to go through some more tutorials before I feel comfortable enough to create and print my own designs (there is a slight learning curve to the Replicator). Onward I march so that I can finish up my Probotix FireBall V90 CNC build.